Japan is known for its precision. Train schedule (always on time) and craftsmanship in machinery are surely one of them. Here's another output that describes this Japanese well-being. A performance by Nippon Sport Science University, a big time jock school (alumni includes Shinji Morisue, 1984 Summer Olympics gold medalist in horizontal bar), is surely one of the most precise and edgy performances you could ever find. It is titled, "Mass Marching". 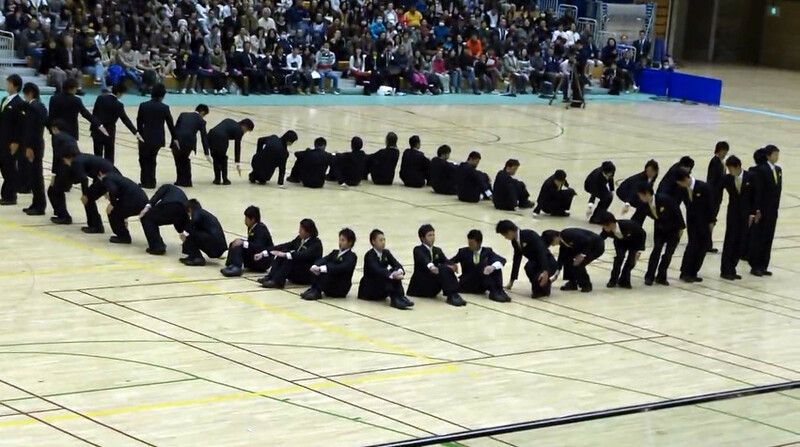 Mass Marching's move is so technical and complex, yet creative. Check this lengthly yet an eye-opener clip. This could an alternative to Tokyo Disneyland's magnificent shows.